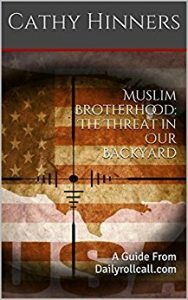 For years, the American Muslim Advisory Council (AMAC) in Nashville TN has deceived those who believed in their mission, including leaders of law enforcement, education and the churches. The faces may remain somewhat the same, but their objective has become more aggressive and radical. The following is a look at just how they have evolved. At the time, and until 2016, AMAC’s mission was to build bridges with law enforcement, and other government and private agencies. This letter from AMAC was sent to the Shura board of the Islamic Center of Nashville (A Shura board provides Islamic religious guidance and aides in building a unified Muslim community according to the Quran and the Sunnah (traditions) of their Prophet) to announce their formation. Note: AMAC was formed after meeting with TN Homeland Security at which time they were opposed to the anti terrorism material support bill which was created to enhance security for all Tennesseans. Question to keep in mind: Why would a “religious” group form an organization specifically targeting law enforcement and other government agencies on the state, and local level to educate them on their beliefs, especially when they are in opposition to laws that assist those same agencies and keep Americans safe? Now lets look at some of the original board members and their former director. Daoud Abudiab: Co-chair of AMAC in its infancy, after which he founded the interfaith organization “Faith and Culture Center” in Nashville TN. Abudiab is also on the board of the Tennessee Immigrant and Refugee Rights Coalition (TIRRC), a leftist, group that promotes open borders, illegal immigration and voting privileges for all as well. Abudiab sends a mixed message as he pushes rhetoric that likens Islam to Christianity, that all gods are the same, and that he loves America, while backing groups that seek to destroy everything America stands for. Included in those groups is a very dangerous, terrorist organization, that Abudiab has been connected to. The United States Council on Muslim Organizations (USCMO) is a Muslim Brotherhood/Hamas conglomerate considered to be their first political party within the United States. 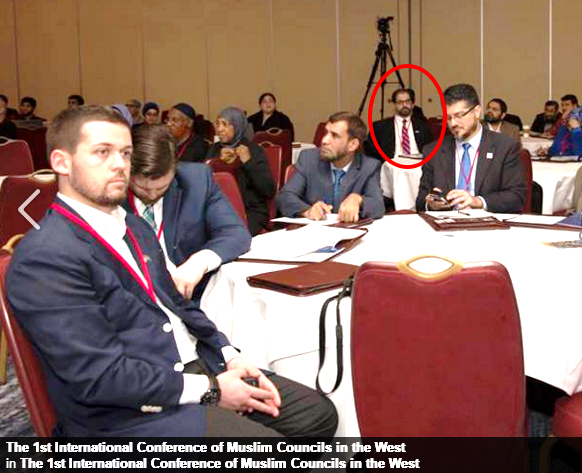 In February of 2016, Abudiab attended the first ever conference held in the West which brought together a who’s who of radical leaders from every Muslim Brotherhood front group in America. Being an integral part of the Muslim Brotherhoods plan for “civilization jihad”, includes using the tactic of taqiyya, or the art of deception. which is advocated by their doctrine. Abudiab also partakes in another religious obligation called Dawa, or the proselytizing of Islam. The Faith and Culture Center is the outlet by which he sows the seeds of Islam, all under the guise of interfaith. Question to keep in mind: Why would a leader of a faith based group attend a terrorist laden, groups conference? Note: These photos are from the USCMO website. Abudiab has never denied, rejected or commented on them. 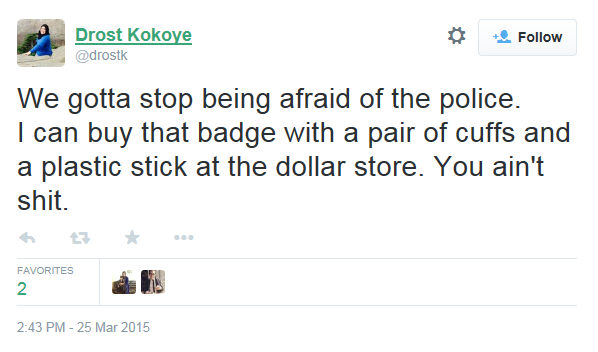 Keep in mind, Drost Kokoye is a member of the American Muslim Advisory Council (AMAC) whose number one mission was to build bridges with law enforcement, and to foster mutual trust in those relationships. Two people sitting on the board of an organization (AMAC) who claim to want to build bridges, yet one attends a Muslim Brotherhood conference, whose ultimate goal is the destruction of America, and the other who hates. Part 2 coming next with more members exposed. Yet Bill Lee (Bill Ali) apparently wants to continue the Haslam administration practice of meeting with extremist!